The Women’s National Basketball Association (WNBA) has been around since 1997, that’s 15 completed seasons now. Will it be around another 15? There’s no doubt the league has had, and continues to have, financial struggles. Take look at the list of champions below. The Houston Comets, who won the first four titles in a row, have folded. 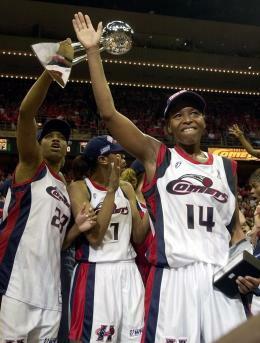 The Detroit Shock, winners of three championships themselves, had to move to Tulsa. If champions can’t afford to stay in existence or their original city, what is that saying for the state of the league? Still, three WNBA teams profited last year and the NBA adds support, both morally and in the form of subsidies. The Chicago Sky are a recent expansion team. And many point out that the question of the WNBA’s survival has been around since the beginning without a final answer. It’s basketball MVP season, and word is LeBron James will take home the 2012 NBA MVP for his third. Tomorrow, when it’s official, Sports List of the Day will run down NBAers with the most MVPs. So, today, let’s turn our attention to women’s pro basketball. The WNBA has been around since 1997 and has awarded an MVP each year since. 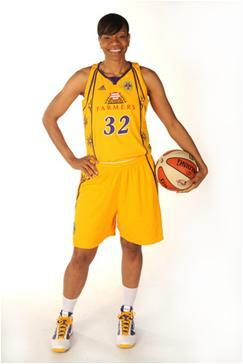 The Houston Comets‘ Cynthia Cooper won the first two. Lisa Leslie and Sheryl Swoopes, two of the league’s all-time most popular and most-skilled players, have also been around since the WNBA’s inception. They have three MVPs each to their credit and are joined by the Seattle Storm‘s Lauren Jackson, as the three WNBAers with the most awards. Here is every WNBA MVP winner, ranked by number of awards. Here are the top 20 WNBA scorers of all time.